Export Digest Newsletter- FG Pledges to link Cassava Farmer to Export Market. 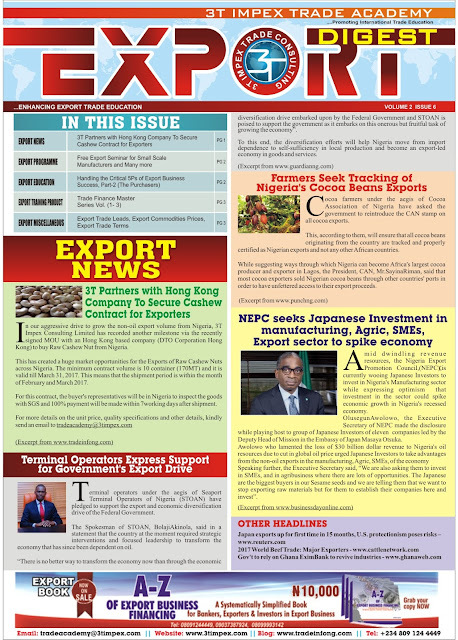 In This Edition Export Digest Newsletter- FG Pledges to link Cassava Farmer to Export Market. 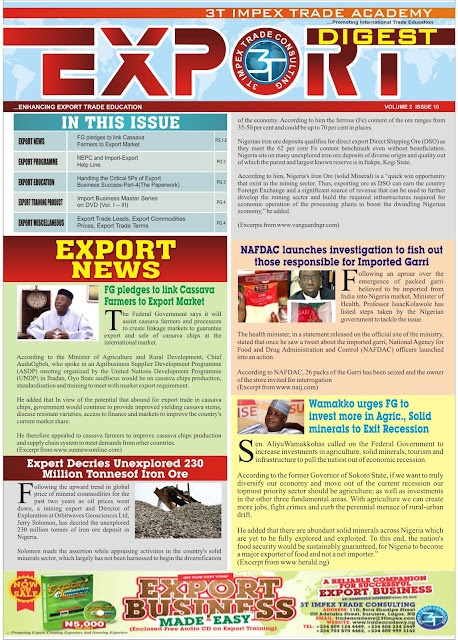 Export Digest Newsletter- NACCIMA, Custom, Endorse Proposed Nigeria Export Trade Hub. 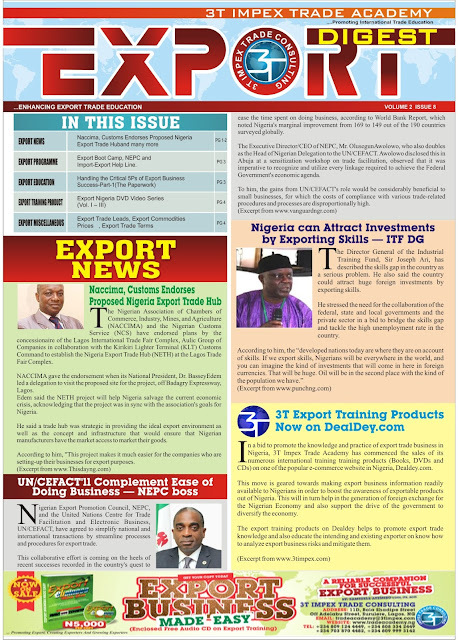 In This Edition Export Digest Newsletter- NACCIMA, Custom Endorse Proposed Nigeria Export Trade Hub.. In This Edition Export Digest Newsletter- 3T Impex to commence Export Training in Kano. A-Z Of Export Business Financing. Export Biz In Brief- Export Opportunities. Export Biz In Brief- Export Cycle and ROI. Export Biz In Brief- Export Biz Types. Export Biz In Brief- Export Process. 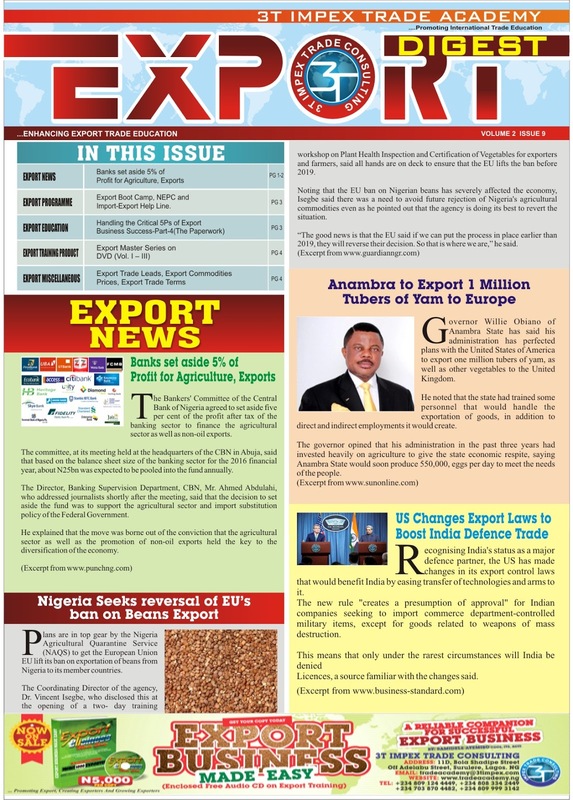 Export Biz In Brief- Export Planning.